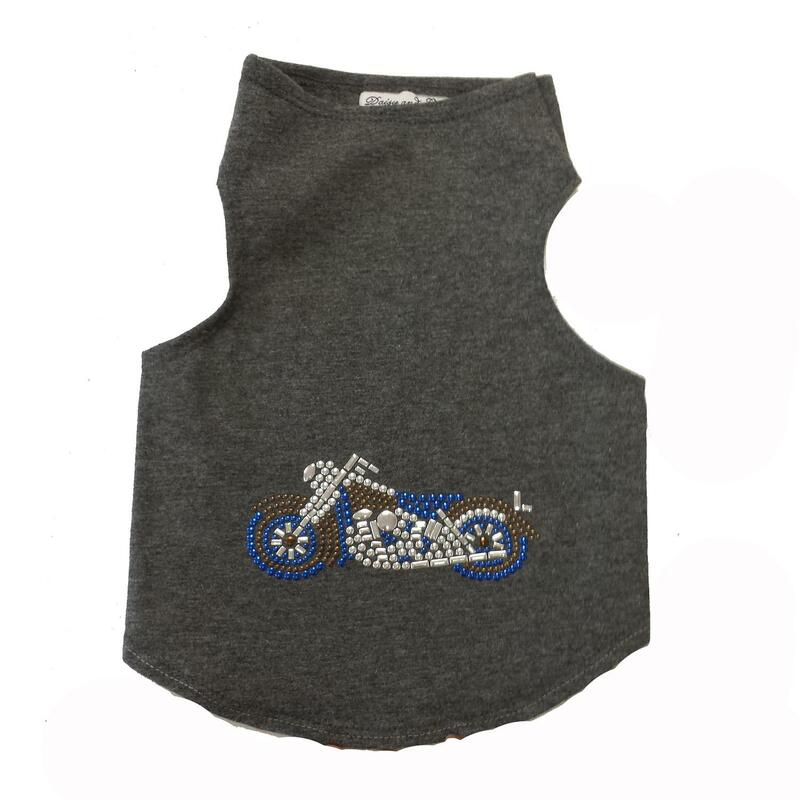 Hit the road and cruise in style with your dog in the Blue Studded Motorcycle Dog Tank by Daisy and Lucy in Dark Heather Gray! 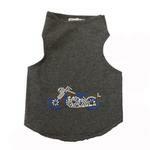 Show how much your dog can rock with the Blue Studded Motorcycle Dog Tank by Daisy and Lucy. Tank has a blue studded motorcycle on back. 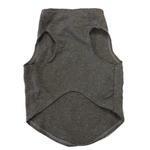 A high cut belly to keep your pup clean and happy. Made of 93% cotton and 7% lycra. Hand wash in cold, than air dry. Made in The USA! Matching dress sold separately. Great for Sturgis!